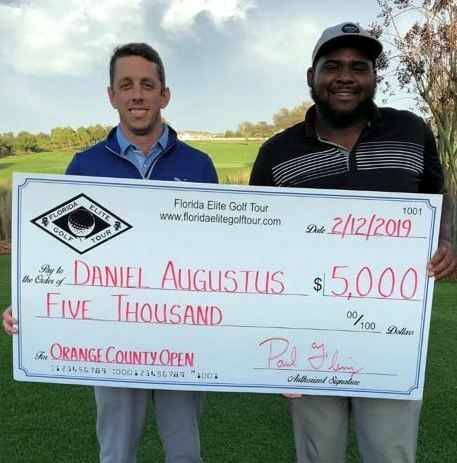 Daniel Augustus put together a remarkable Second Round 7-under 65 during the Orange County Open at the Orange County National Golf Club in Florida. Augustus did not have the best start to his Second Round as he had a Bogey on the First Hole, but an Eagle on the par 5 second hole put him at 1-under. He would play Even Par for the remainder of the Front Nine to make the turn at 1-under par. The Back Nine is where he would shine, with 6 Birdies out of the Nine Holes. The win was Augustus' third International win of his Career.